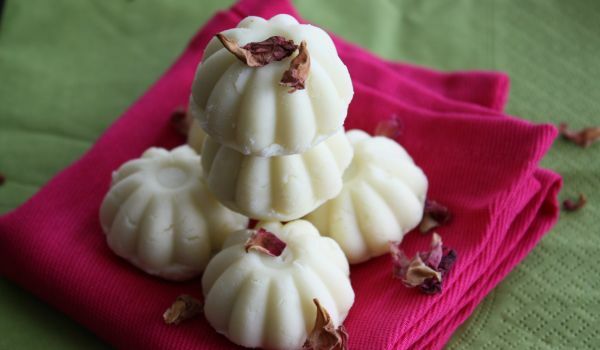 Malai Peda are an exquisite sweet dish that is made with milk sugar and saffron strands. Not only is this Peda healthy but it also satisfies your hunger craving like nothing else. Keep 8 tsp milk aside and boil rest of the milk in a heavy bottomed pan, stirring throughout, till it reduces to half. Heat the saffron in a small vessel and add 4 tsp milk to it and rub till the saffron dissolves. Combine this with the boiling milk. Combine the citric acid with 3 tsp of water, mix well. Add this mixture very gradually to the boiling milk till it curdles a little. Mix the cornflour with 4 tsp milk and add this to the boiling mixture. Stirring constantly until the mixture becomes thick and resembles khoya. Add the cardamom powder to it and mix well. Allow it to cool and combine the sugar substitute with it and mix well. Garnish it with saffron and pistachio.